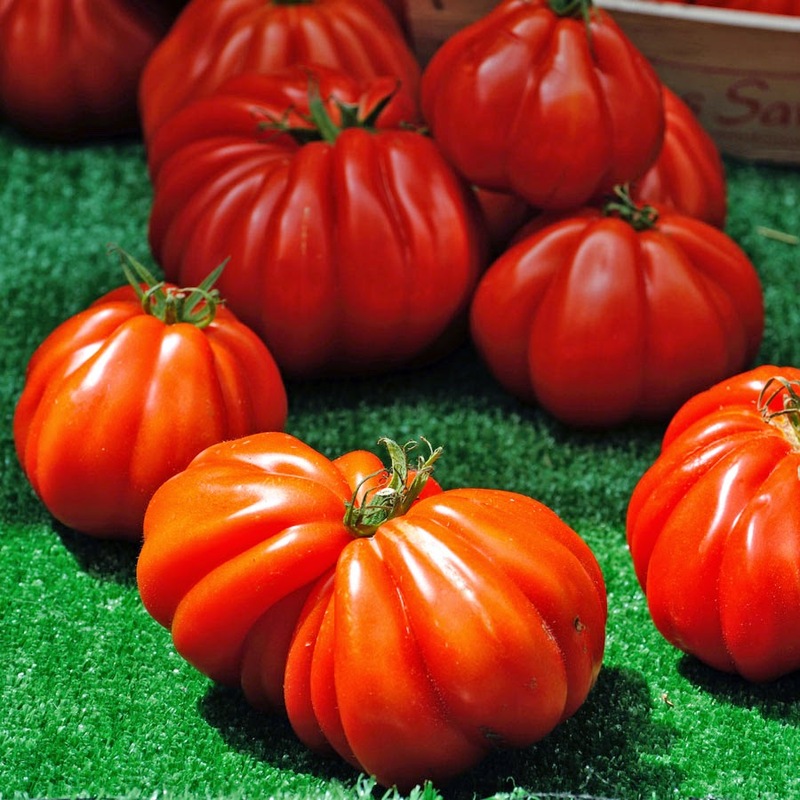 If you are only familiar with the tomatoes found of the shelves your local supermarket then competition or exhibition sized tomatoes can be a bit of a surprise. 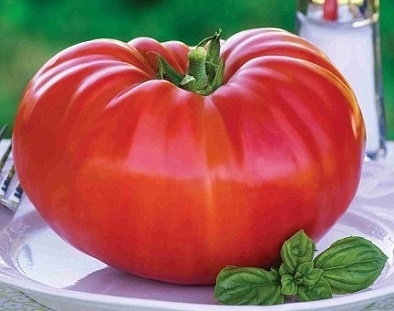 Growing giant tomatoes that are 2 lbs or more are not difficult so long as you start off with the right seed varieties, but experienced growers can produce fruit up to an enormous 12 lbs in weight! Of course, you can't just use regular tomato seeds and hope that good cultivation will produce the results you're look for. Only beefsteak varieties are up to the challenge, even so you need to begin with specially developed cultivars that have been selected over time for their desired growth characteristics. If you are not sure what seed to purchase then choose varieties that have the words like big, giant or colossus in the name. Proven seed varieties include 'Giant Belgium', 'Delicious', 'Big Beef'', 'Celebrity' and 'Brutus'. Before you even think of sowing tomato seed you will need to prepare your soil first, and no you can't grow giant tomatoes in grow bags. In cooler European climates you will need to grow giant tomato plants under the protection of a greenhouse or polytunnel but even so they will still need to be grown in the soil. You will need to provide a moist, fertile and well-drained soil so dig in plenty of well-rotted garden manure, leaf-mold and mushroom compost into the bed. You can also add well-rotted farm manure but be aware that too much will provide an excess of nitrogen, which is fine if you want to produce a lot of foliage but not so good for producing flowers and their subsequent and fruits. To make the most of your growing season you will need to start the seed off early, usually January. Fill 3 inch pots with a good quality compost such as John Innes 'Seed and Cutting'. Sow the tomato seeds on to the surface at a rate of one seed per pot and water in. To germinate you will need to provide a temperature of approximately 15-20 degrees Celsius so place the pots inside a heated propagator or keep them in a warm bright room in the house. Do not keep them in direct sun as this can dry out the soil. To keep the soil moist and to provide a good level of humidity cover the pots with a sheet of glass or clear plastic or seal the pots inside a large, clear, polythene bag. The seedlings should emerge in 7-14 days, at which point their cover should be removed. Water as necessary and after 3-4 weeks the should be ready to be potted on into 4-5 inch pots. Once the young plants when they are about 6-8 inches tall and the flowers of the first truss are just beginning to open they can be planted into their prepared bed. Water little but often and provide a humus rich, water-retentive mulching until the ground warms up and the plants begin to flower. Fertilize every two weeks with a dilute fish emulsion fertilizer or proprietary tomato fertilizer. For really big fruit keep and eye out for extra-large tomato flowers known as mega-blooms. A mega bloom occurs when two or more flowers that have fused together to form one big flower. This in turn will produce tomato fruits that have joined together to create one enormous monster tomato. If you can't find a mega-bloom, then thin out the flowers so that there is only 2-3 per truss. Help with the pollination of tomato plants grown under glass of polytunnels, using a thick, soft artist's paintbrush gently take the pollen from one tomato flower and brush it against another. Allow only one stem to develop, and remove side-shoots as they appear. As the plants mature, prune off tomatoes that develop farthest from the stem and eventually leave just one fruit per cluster. Remove all but two or three of the biggest fruits from each plant. It's best to stop fruits from developing at the top of the vine as these will divert energy from the larger fruits at the base. Prevent the branches from breaking by supporting the tomatoes with ladies tights or some such material when your giant tomatoes start to get really big. If you wish to grow giant tomatoes the following year in the same position then consider replacing the compost to avoid a buildup of pests and diseases.